"What shoes should I wear with this dress?" These are not questions indiviudals would normally hear inside the Association of the United States Army Building in Arlington. But, that is exactly what was being said as "Operation Deploy Your Dress" welcomed hundreds of military spouses to a ball gown giveaway April 28. "Last year, we set up here as well," said Operation Deploy Your Dress co-founder and Army wife Yvonne Coombes. "We were so excited. We showed up, and there were four ladies waiting for us before we even walked in. This year, we walked in and had a lobby full of people. We have already given out over 400 dresses." The gently-used gowns, shoes, purses, and jewelry that were given away were donated to the group by military and civilian communities, Coombes said. "We love that we're bridging that gap between the military and civilian communities," she said. "We hear from our civilian donors that we want to help our military communities, and you are giving us a tangible way to do that." 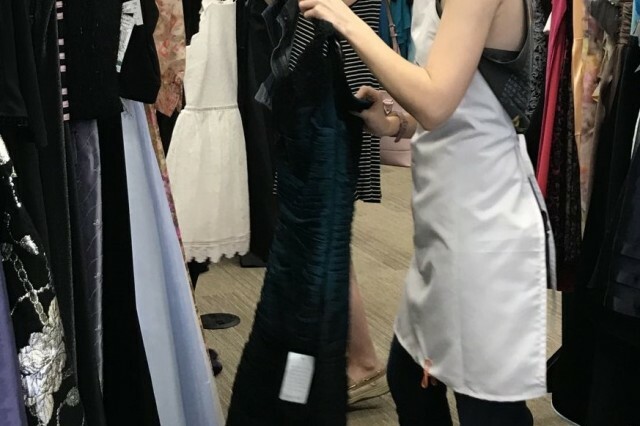 Army wife Sam Cooper not only donated to the event, she was on hand to browse for a ball gown herself, along with her 9-day old daughter, Robyn. "I love that all these people are so excited to get something they couldn't afford, otherwise," she said. "They are able to feel like a princess. This is so small and simple, but it matters so much to so many people." 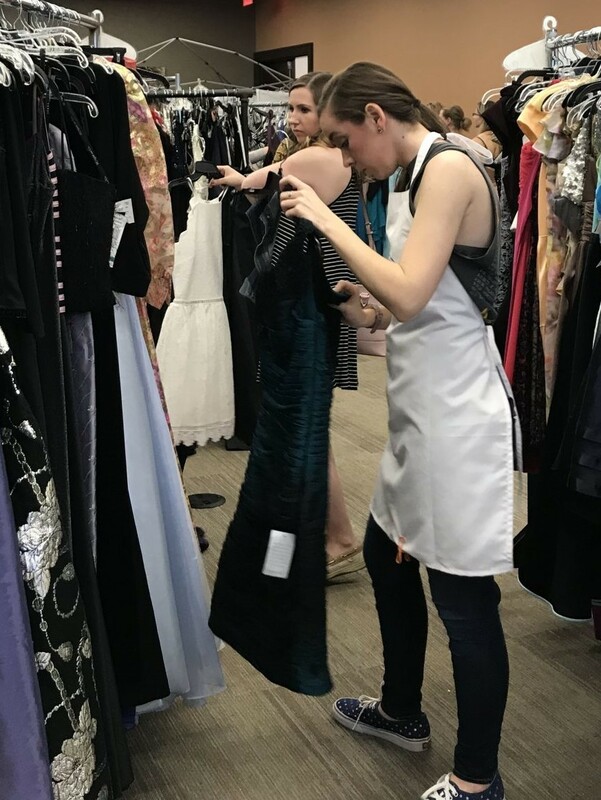 The AUSA Family Readiness Department donated the space and its staffers welcomed attendees, as did Operation Deploy Your Dress volunteer Camille Sheehan. "I'm blown away by how many people are here this year," said Sheehan, who also volunteered at last year's event. "I'm really amped up this year. I got here before the doors opened, and it was jam packed." The first Operation Deploy Your Dress giveaway occurred at Fort Bliss, Texas, December 2016. "This is a very new organization," said Coombes. "We just had our second birthday. We really didn't even start out to become an organization. We started out a five military spouses who held a dress swap to help boost the attendance at our balls that we had coming up." That two-day dress swap turned into Operation Deploy Your Dress. "Two years later, our two-day dress swap is still going on," said Coombes. The organization is active on three installations in addition to its flagship location on Fort Bliss, including Fort Eustis, Virginia, Joint Base Lewis-McChord, Washington, and Fort Irwin, California. "We're about to be in Fort Benning, Georgia, later this summer," Coombes added. "We're growing." Cassie Wolf is attending a mother-son ball with her two sons within a couple of weeks and was on the hunt for the perfect dress. "This is a really neat opportunity, because I don't have a dress," she said. "With this, I'm able to feel like a princess with my boys. That's really exciting." Operation Deploy Your Dress is always looking for donations and volunteers. The group can be reached on their Facebook page. "We have a need for things behind the scenes," said Coombes. "We have a need to build a web page. We can't afford that, as well as anything that would go into operating the organization."